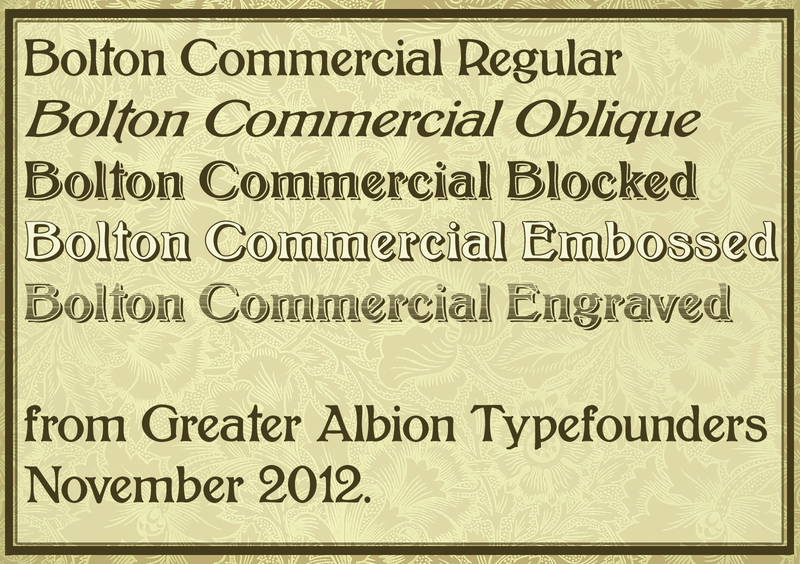 Our ‘Bolton Commercial’ family is getting near to release now. It’s actually taken rather a long time-somehow, tidying up an existing design seems to take longer than working from scratch… Still, we’re very pleased with the final result. Here’s a brief introduction to the five members of the family, all characterful Roman display faces.